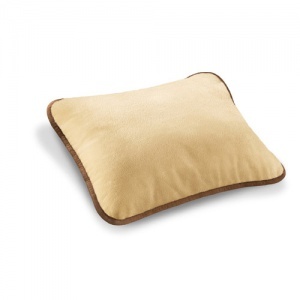 If you mostly get cold at night, the Beurer Heated Cosy Cushion might be just what you need. 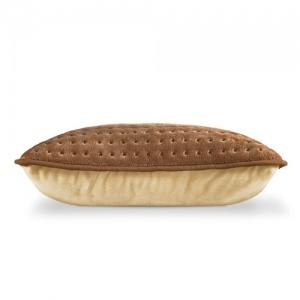 While regular heating pads and hot water bottles are great for helping you fall asleep, this cushion is designed to warm itself up and keep you warm for as long you need, while providing cosy and comfortable support for your back. Firstly you may use the 'Turbo Heating' or 'Rapid Heat Up' option to make the cushion warm as soon as possible, this is great for when you just get back in from work and it proves much more ideal than warming the kettle and filling up a hot water bottle. This feature has been designed to provide warmth in a small period of time in comparison to the other range of options. 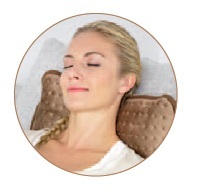 Whilst the Turbo Heating option may prove ideal for quick warmth, the Beurer Heated Cosy Cushion also has in place three illuminated temperature settings in order to choose the right level of heat for yourself. These illuminated temperature settings will allow you to maximise the potential of the cushion but also have the added function of being user friendly towards individuals who may have poor vision or are suffering from cognitive disorders. This added safety function will prove invaluable to many individuals. Whether you are buying this item for yourself or an elderly person, it is worth noting that you achieve a certain peace of mind knowing that even if the device is left unattended for many hours, it will turn itself off. 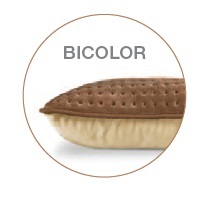 Why Should I Choose This Cushion? The Beurer Heated Cosy Cushion is not just a heating device, it is also a two-coloured cushion which can fit in well with your existing household furniture as demonstrated below. 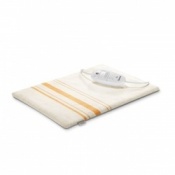 With many heating devices failing to replicate the same level of design as your household furniture the Beurer Heated Cosy Cushion ensures to excel in this area even though it is available in only one two-sided option. Heating devices always prove popular during those colder times of the year although many of these existing devices target one specific problem area i.e. neck, back or legs. With the Beurer Heated Cosy Cushion you can use the device in a range of different ways, one of which is demonstrated below. With this device not fixated to one particular part of your body it is ideal for those who may be suffering from cold hands and toes, but it can also be used for those niggling neck or back pains which often require some form of heat for pain relief. 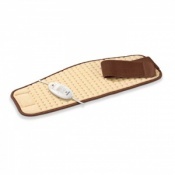 The Beurer Heated Cosy Cushion is supplied with a cover above the integrated heating pad. This external cover is machine washable at 30°C, so you can always maintain strict hygiene levels. 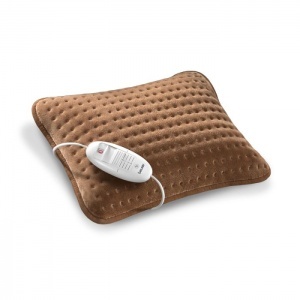 Please note that this heated cushion operates using a mains power supply. 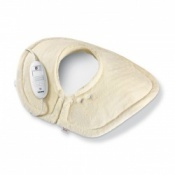 Due to the heating element, this product should not be used by people with a pacemaker. We advise you to consult with a doctor if you are unsure of this product's suitability for you. Wonderful. You can use it with or without the inner cushion. Gentle heat that warms and heals. Easy controls for arthritic hands. I have bought 2 of these for friends because they are so good. We are all happy with them.